Serving: NYC New York and Connecticut NJ/PA and the surrounding areas. NY Christmas and Winter Holiday Magic Shows available – Christmas Parties with a Real Beard Santa and even elves. 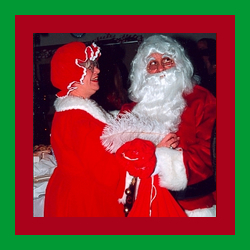 Call today and book your Christmas Party a real Santa, Mrs Claus, and even elf helpers. Don’t disappoint – our Santas and company are professional and can leave your guests with wonderful joys of the holiday season. Show party packages available with additional characters: Fairy’s, Toy Soldiers, Santa’s Helper, Sugar Plum Fairy, and even the Grinch!